In the world of professional wrestling, tapping is a sign that you’ve had enough and are ready to give up. But that only counts if you’re actually in the ring. With SEGA‘s new take on World Wrestling Entertainment, you’ll be tapping to keep your wrestler in the fight. You start out WWE Tap Mania for PC’s story mode as a young-blood looking to make a name for himself as a professional wrestler. The road to WWE Superstardom is littered with other hopeful wrestlers so you’re going to have to tap like crazy to prove that you’re the best. Established stars feature as well so you’ll have to beat the best to be the best. 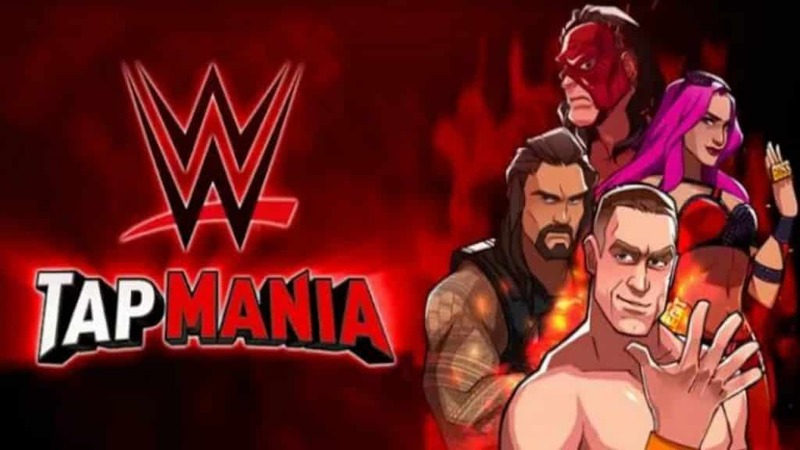 No man can succeed on his own therefore in WWE Tap Mania for PC you’ve got a team of up to four other WWE superstars. The rest of the team battles automatically while you control your own player so you won’t have to worry about how to get the best out of all of them at once. The other team may fight automatically but you have the option of activating their special attacks. The developers did their best to make it more than just an idle clicker by adding different fighting-types and unlockable perks. You also have the option of building your team to your liking so that it has a better chance against your opponents. The attempt at including strategy is commendable but ultimately you’ll spend most of the game just using brute force. Tapping is the basic skill but you’ll also need to use the cash that you win on upgrades. The wrestlers make a lot of cash from ring bouts and the upgrades that they afford allow you make your wrestler inflict greater damage and learn new moves. You can also earn cash while logged out of the game so you can let it sit for about a day before the main event and have enough cash for that powerful upgrade. 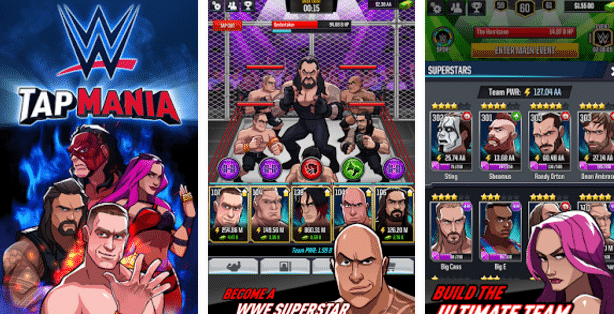 WWE Tap Mania for PC’s greatest feature is its presentation. Sega designed the wrestlers to be slick and well-animated yet easy to recognize as their real-world selves which makes it easier to get to stuck in on the game. WWE superstars are known for their larger than life personas and Tap Mania brings them out brilliantly. Gameplay is restricted to clicking over and over again which gets very boring very fast. Upgrades offer a bit of something extra however since you earn cash in the background, you can level up simply by not playing which in some cases is even easier than earning the cash in the ring. WWE Tap Mania for PC is definitely good game in the genre. The only issue lies in whether it will be able to attract and hold on to people who aren’t usually interested in clickers. The WWE brand is able to bring in a lot players and they’ve got a game for every platform but we’ll just have to wait and see whether this one sticks. 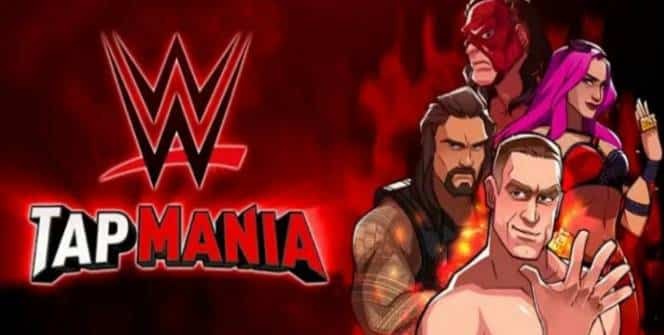 Warning: WWE Tap Mania servers shutted down and it’s removed from iOS and Google Android Stores! Check Out WWE Mayhem or WWE Champions for PC. Sometimes when playing WWE Tap Mania, bluestacks ask you fee to pay but gives you option to download some apps. Every time it asks you just select “Install apps” and continue using it free. I hope you enjoyed this article, please rate and share. If you have problems running WWE Tap Mania on your desktop or any other issues, leave a comment below.